Researching the microbiome is in vogue: medical researchers have now found out that some medications are made ineffective due to the influence of bacteria. This can, especially when dealing with cancer therapies, have serious consequences. Personalised medicine is the buzzword that has hovered over modern medicine for years. This is because the one and the same disease can run a very different course in one patient compared to that in another. The same kind of variation is also seen with pharmaceuticals: a given pharmaceutical heals one patient, yet with the next – who exhibits exactly the same symptoms – it has no effect. In order to find out which patients might benefit from a particular therapy, doctors and scientists will pay ever more detailed attention to it. They study genetic tissue for clues or search for biomarkers, receptors or other surface features on individual cells, so as to learn more about the disease and to treat it specifically. A most well known example here is HER2/ neu protein, found on the surface of breast cancer cells. If production in a woman is elevated, the disease is often very aggressive. A specific medication called Herceptin is designed to help precisely these women. This medication is an antibody which specifically binds to HER2 /neu and can thus prevent the growth of tumour cells. In patients who do not have this particular characteristic, this treatment would be ineffective. Yet there are also other reasons why some therapies do not work for every patient. One of them is found in our microbiome. Half of all cells in humans are bacteria. In the intestine alone gigantic colonies abound. Over the course of evolution, they have found their home in humans, in the process taking over important tasks. They keep pathogens in check, help with digestion, provide vitamins and nutrients and even have an effect on the mental state. Scientists regularly find new processes in the body in which bacteria play a role. For some time now this has also been relevant in the treatment of diseases. As it turns out, some of these tiniest of organisms are in a position to significantly influence the success of a therapy. Molecular biologist Ravid Straussman from the Weizmann Institute of Science in Israel has long been researching therapeutic resistance in oncology. Together with his colleague Todd Golub from Harvard Medical School he describes in one current study that some bacteria are capable of protecting tumour cells from attack by chemotherapeutic agents. They investigated why some tumour cells do not respond to chemotherapeutic treatments. It has long been suspected that this effect originates from non-malignant cells in the vicinity of tumour cells. In this experiment as well, the effect was clear to see: When dermal fibroblasts were cultured together with pancreatic tumour cells, the tumour cells were not able to be killed off by the chemotherapeutic agent gemcitabine. How could that be? The team found out that fibroblasts were infected by mycoplasmas bacteria. “We almost threw them out”, recalls Straussman later. The microbes were however the answer they were looking for all the time. The bacteria metabolised the gemcitabine using the enzyme cytidine deaminase (CDD) and thus made it ineffective. Straussmann’s observation is not an isolated case. It fits into a whole series of discoveries that show how bacteria affect therapy used against diseases. Researchers recently presented data which suggest that bacteria are responsible for causing many patients who are using the chemotherapeutic agent irinotecan to suffer from severe diarrhoea. The reason for this is that some bacteria have enzymes that can degrade a sugar attached to the chemotherapeutic agent – and thus enormously increase the toxic effect of the drug. The absence of this appendage seems to lead to the fact that the active ingredient is not rapidly degraded in the liver, but rather can cause damage in the intestine. What’s more, the success of some active substances used in the treatment of cardiac diseases or Parkinson’s therapy is now known to involve bacteria. The widespread bacterium Helicobacter pylori prevents, for example, the uptake of the Parkinson’s drug levodopa. 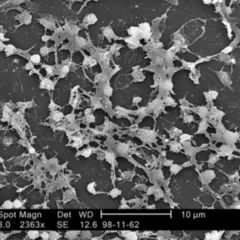 A study in the journal Science recently showed that prophylactic HIV treatment based on vaginal gel application fails in females infected with the bacterium Gardnerella. This bacterium is capable of metabolising the active ingredient tenofovir and making it ineffective. And while science is coming across ever-new examples in which bacteria alter or eliminate the effects of medications, other research groups are trying to figure out how to stop the bacteria. Initial approaches already exist. In mice one dietary modification has already led to the colon bacterium Eggerthella lenta no longer impeding the heart medicine digoxin in its effect. The amino acid arginine prevented bacteria from putting the active ingredient out of action in affected mice. The amino acid downregulated the production of one important gene in the bacteria used in digoxin activation. To reduce the side effects caused by bacteria during treatment with irinotecan, the biotechnology start-up Symberix is working on getting approval for a clinical trial. Cancer patients are also to be treated using a selective beta-glucuronidase inhibitor. The North Carolina company specialises in the development of microbiom-based, non-antibiotic therapies. Using this therapeutic approach, the company is at the cutting edge of research. In particular, the treatment of cancer patients involving antibiotics is critical since they also targets beneficial bacteria. In his study Straussman showed that the cytostatically active oxaliplatin is dependent on the cooperation of bacteria from the intestine. 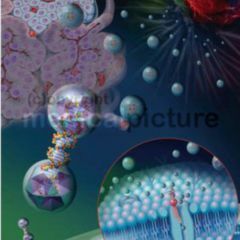 In addition, he showed through experimental immunotherapy using CpG oligonucleotides in tumours that special bacteria are needed. These are supposed to stimulate the immune system, such that it forms the signalling substance tumour necrosis factor. With antibiotics use, the risk would also exist that the patient could develop dangerous resistance. This would be an additional burden for a body suffering from cancer. It would be better to find an active component that blocks the enzymes of the bacteria which hinder the effects of medication. No one ever thought about the idea that bacteria are there to protect us? So, if they destroy (part of) the pharmaceuticals, it’s because it’s poison for the body. Trying to stop the bacteria from doing their protective jobs will, in the end, only make things worse.